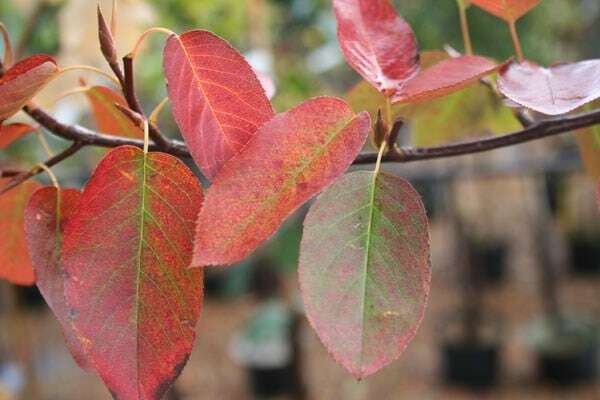 With delicate, star-shaped, white flowers in spring, young bronze leaves maturing to dark green, edible, purple-black berries in June and stunning autumn leaf colour, this amelanchier provides a long season of interest - and will make an ideal secimen for the garden. Garden care: Remove dead, damaged or crossing branches in late winter or early spring. Amelanchier doing well. Looking forward to first years blossom. I'm always amazed that this tree isn't more popular. It's suitable for smaller gardens, and its airy framework means it looks beautiful without blocking out loads of light. Gorgeous star-shaped white flowers appear in early spring, before the leaves unfur, then in autumn, the leaves turn a spectacular red and orange. Amelanchiers apparently prefer soil that is on the acid side, but I grow them successfully in the Cotswolds. Lots of mulch or a good dollop of leafmould is probably the answer, but whatever you do, don't let them dry out too much after planting. American friends say they are favourites for deer and rabbits, but I've never heard anyone in the UK complain about this. I wanted something that was different when I was searching I could not find the right Tree,so after leaving my books alone for a short while, something kept telling me Amelanchia so I turned to you and there it was, I wanted it as soon as I could. Now it delights a corner of my garden, it's a joy to the birds, and the Bees. But the colour of the leaves when they turn oh yes it really puts on a show everyone of my neighbours have had questions but I do not give a clue as to where it came only to say it was a gift from heaven. Could I take up and apply the Mycrorhizal to the tiny bareroot tree I have just planted to give it the best start, its leaf nodules are only slightly swollen from planting from being planted? Thanks Cocus, you are the best! 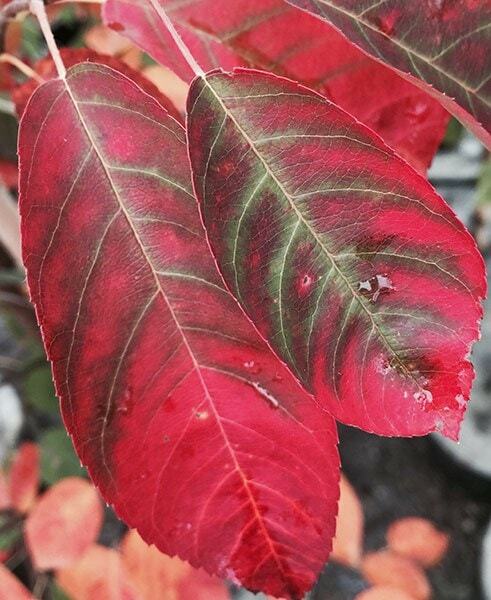 Hello, All the amelanchiers we sell are pot grown rather than bare root - and it is getting late for planting bare root plants! Having said that though, if it is only recently planted, there is no reason why you could not gently lift it, apply the mycorrhizal fungi and then replant it. Hello, This is not a particularly fussy plant provided the soil conditions are not alkaline. Therefore you could dig in some ericaceous compost (if your soil has a more neutral pH, or some leaf mould. You could also use some Rootgrow ti help it get off to a flying start. http://www.crocus.co.uk/product/_/rootgrow-licensed-by-the-royal-horticultural-society/classid.2000012046/ As for feeding, either a good general purpose fertiliser, or one for acid-loving plants would be suitable. What does "average" growth rate actually translate to? Also what is the rough height of the tree you supply and what size after say 5 years. Will salty air effect it. Thanks. Hello there This tree in a 12lt pot will be approx 1.2 x 1.8m when delivered. Unfortunately it is impossible to say how fast it will grow as so many external factors will affect a plants growth such as, how much water it gets, sun, aspect, nutrients etc. Sorry but this plant is not recommended for coastal regions. Hello, This could go either way I'm afraid, so the only thing you can do now is give it a good feed and make sure it is kept well watered and hopefully it will leap back into growth. Why has my tree not produced any blossom this spring? Hello, The most likely reasons for this are a lack of water, fertiliser, or sunlight. Hello, It will be possible to grow it in a rally large pot for a few years (provided it is kept well fed and watered), however ultimately it will be happiest planted out in the ground. 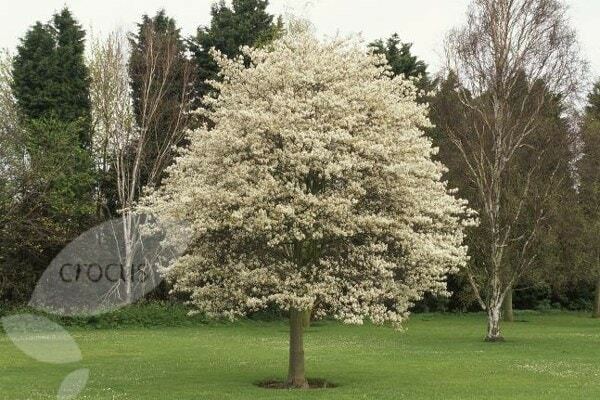 I've recently ordered 3 of the smaller Amelanchiers (£49.99) which arrived yesterday. They are lovely plants but bushy and multi-stem without a clear stem which is what I have received from you before. Does this larger tree (£79.99) have a clear stem, with more of a tree like shape? Can this tree tolerate a chalky soil? If not could you recommend a small specimen tree for a lawn. Hello there No the fruits on this shrub/tree are not known to be toxic Hope this helps. Hello. 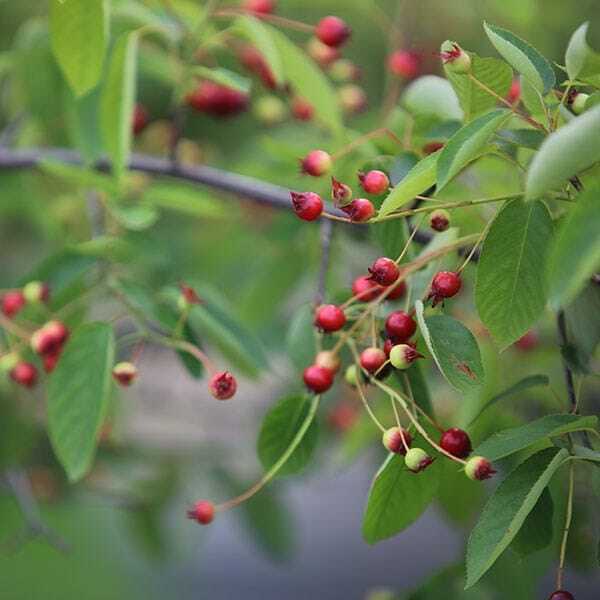 I have been growing amelanchier for years. The berries are quite delicious and not toxic. The birds generally get there first. Hello there These trees don't usually need much pruning, but if you need to then the best time is in late winter or early spring. Hope this helps.